We're celebrating unstoppable women this August. Find out how entrepreneur Nothando Tembe left a frustrating job to start her own business. Nobody understands the importance of online branding more than entrepreneur Nothando Tembe. The 26-year-old runs a creative lifestyle agency which helps build successful brands online for clients in Durban and Johannesburg. Nothando says she started her dream business after being unhappy at her job. She enjoyed blogging and social media and decided to turn her passion into an income. “I started my business after months of frustration at my job and saw an opportunity within the industry to service small businesses, by offering creative solutions & guidance to start & grow their brands,” she says. The Durban University of Technology PR graduate started her company from scratch and had to learn to do everything herself. Nothando manages influencer campaigns for brands, which has become an important part of advertising in the technology-driven age. She has worked with several bloggers and influencers including Treven Moodley, Prince Thabz Mkhize, Keesha Moore, Nwabisa Ntlokwana and Pamzokuhle. The South African influencer industry has grown significantly over the past few years, with Business Insider reporting that influencers make anything from R500 to R10 000 per Instagram post. Some bloggers are even able to earn a steady monthly income from their profiles. While everyone wants to be a blogger these days (to get their hands on some freebies! ), Nothando says blogging takes a lot of hard work. When she is not helping high-profile bloggers manage their online profiles, Nothando is chasing after her three-year-old son who keeps her very busy. How does she juggle being her own boss while raising a feisty little boy? “When I started my business, he was such a motivation because I wanted to award myself control of my life, especially as a mother. Kids need you to be present and sometimes a 9 to 5 can be very demanding, and you usually don’t have much say with your schedule. As the business grows I can see that it’s taking my time more, so I try my best to be productive during the week, so I can leave weekends for family time. My family is also very helpful when I need them and are always there when I need their assistance. So, a strong support system is really crucial, especially if you are trying to build a successful business,” she says. 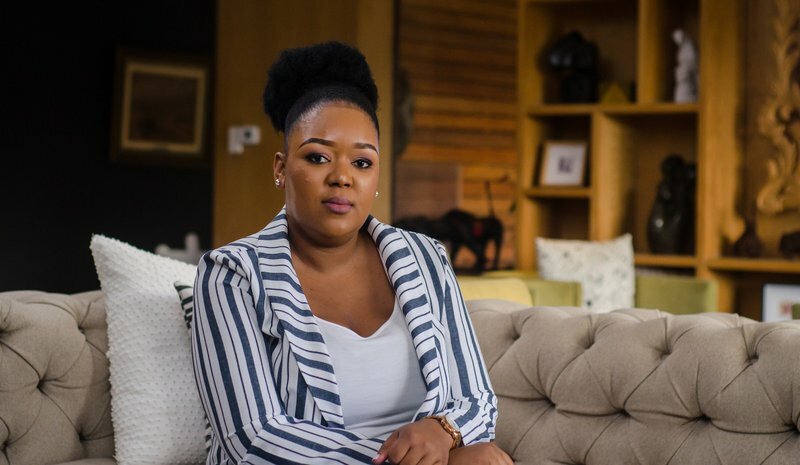 Being an entrepreneur is not as easy and glamourous as it looks, something Nothando knows all too well, but she is a woman on a mission and has big plans for her company, Nothando Tembe Communications. Visit Nothando's website to find out more about her business.